Happy first day of Spring! Lavender is synonymous with springtime here at Crowded Earth Kitchen. The signature color of lavender buds, combined with their fresh, clean scent, are an assurance that the warm summer sun will be here soon enough. 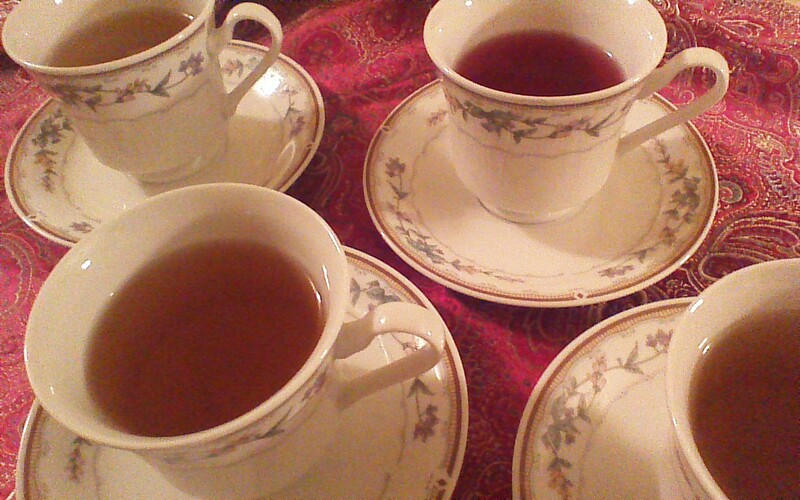 While we wait, let’s warm up with a cup of tea! Lavender teas have long been recommended by herbal experts for soothing the stomach, serving as a sleep aide, and relieving headaches. 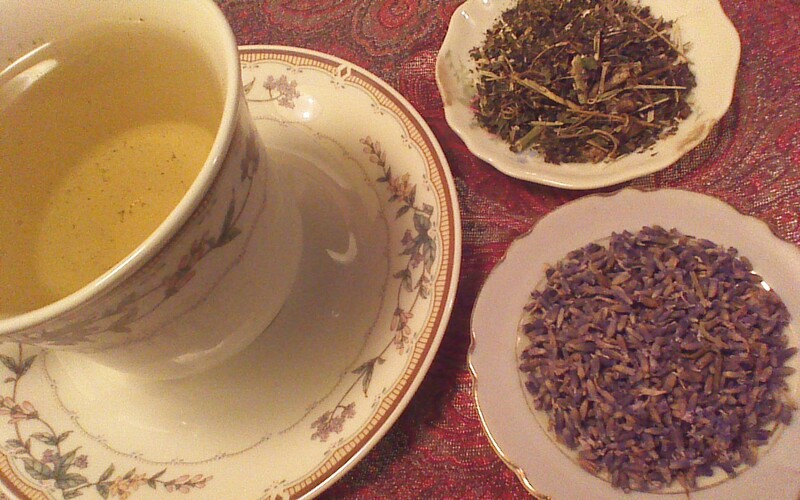 Crowded Earth Kitchen is featuring two lavender tea blends today. The first, Lavender Passion Flower Tea, combines lavender with passion flower leaves. Available in the herbal section of many markets, passion flower leaves have a long history as a folk remedy for anxiety and insomnia. Lavender Passion Flower Tea has an earthy taste and a springtime fragrance reminiscent of freshly cut grass. Our second lavender tea blend, Lavender Chamomint, combines lavender with the soothing power of German chamomile and the perky zip of peppermint. While also offering calming properties, the herbs in Lavender Chamomint have also been used by women as folk remedies for pre-menstrual symptoms and menstrual cramps. 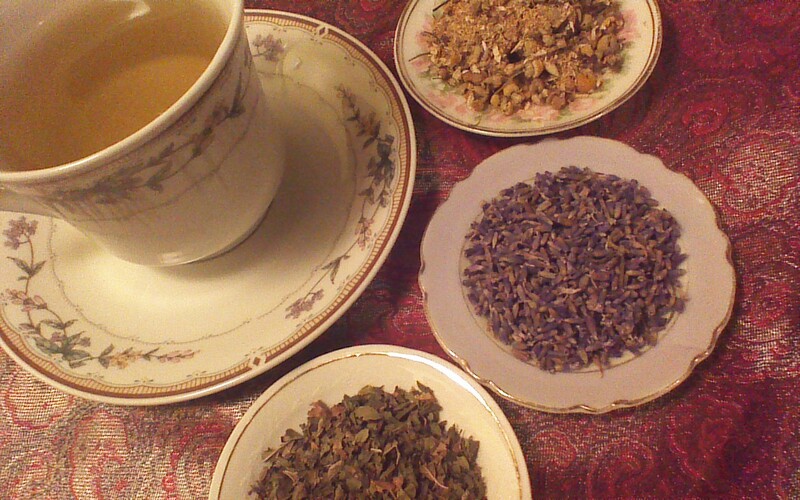 Combine 2 heaping tablespoons of dried passion flower leaves with 2 heaping tablespoons of dried lavender buds. Pour 1 cup of boiling water over 1 teaspoon of this mixture. Steep for 5 minutes. Combine 2 heaping tablespoons of dried lavender buds, 2 heaping tablespoons of dried German chamomile, and 1 heaping tablespoon of peppermint. Pour 1 cup of boiling water over 1 teaspoon of this mixture. Steep for 5 minutes. Crowded Earth Kitchen will revisit the topic of tea from time to time. If you have a favorite herb or type of tea that you would like to see featured, please comment below! This entry was posted in Beverages and tagged Cooking, Food, Recipes, Spring, tea. Bookmark the permalink.